Many design books try to teach design through lists of "do's" and "don'ts." But hackers know you need a deeper understanding of something to really do it well. 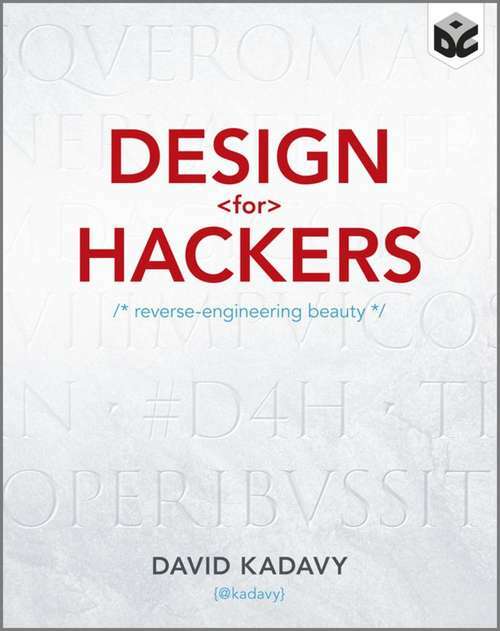 Design for Hackers takes apart design by "reverse-engineering" Impressionist painting, Renaissance sculpture, the Mac OS X Aqua interface, Twitter's web interface, and much more. You'll learn about color theory, typography, proportions, and design principles. This theoretical advice is mixed with concrete, actionable advice such as suggestions for color scheme tools, and a chart of "all of the fonts you'll ever need".